The McDonnell Douglas (now Boeing) F/A-18 Hornet is a supersonic, all-weather carrier-capable multirole fighter jet, designed to attack air and ground targets. The F/A-18 was derived from the YF-17 in the 1970s for use by the United States Navy and Marine Corps. The Hornet is also used by the air forces of several other nations. It has been the aerial demonstration aircraft for the U.S. Navy's Flight Demonstration Squadron, the Blue Angels, since 1986. The F/A-18F Super Hornet is a two-seater variant of the F/A-18. 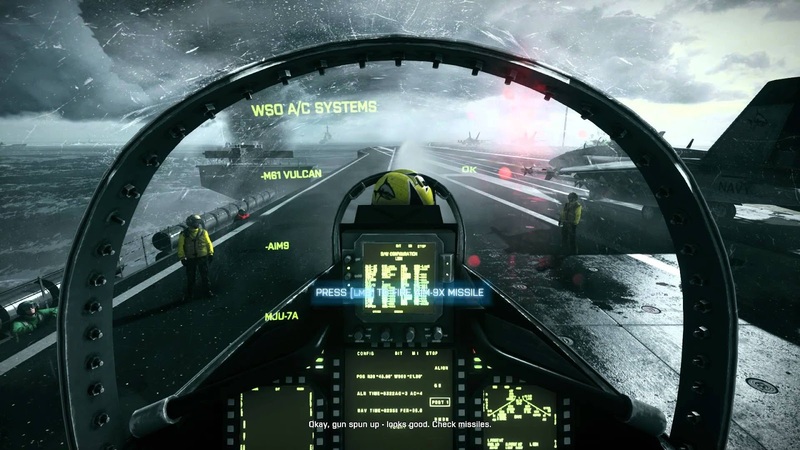 It appears in the singleplayer mission Going Hunting, with Jennifer Hawkins and her pilot operating as call sign "Shark 4-6" They engage IRIAF jets over Iranian skies and destroy targets at Mehrabad International Airport. It can utilize the AIM-9X Sidewinder air-to-air missile, the M61 Vulcan 20mm gatling gun, IR Countermeasures (Flares), and the AGM-88 HARM Anti-Radar missile, as well as a laser designator to paint targets for GBUs and A-10 Strikes.